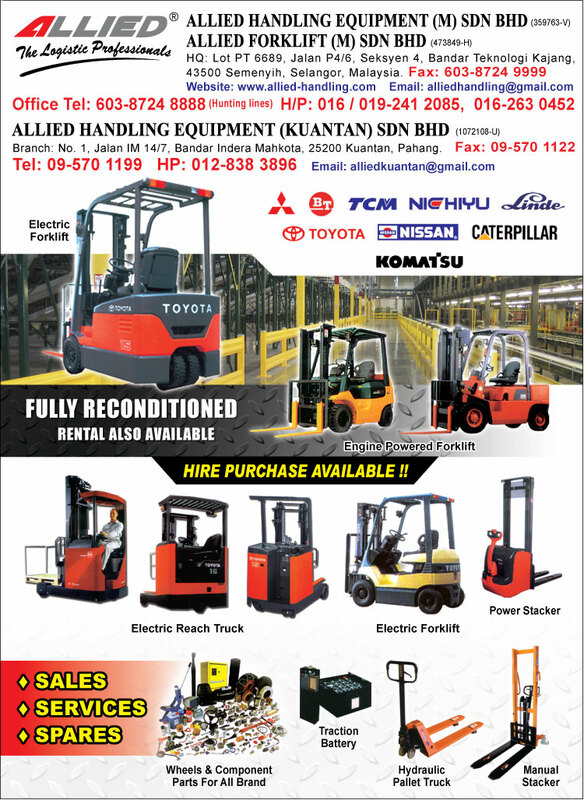 Lot PT 6689, Jalan P4/6, Seksyen 4, Bandar Teknologi Kajang, 43500 Semenyih, Selangor, Malaysia. 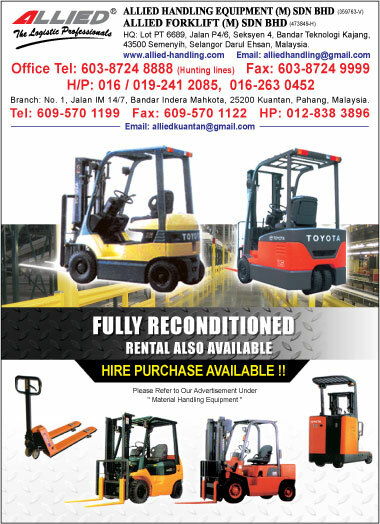 Allied was found in 1993 with perpetrate to serve as a withstand player to Malaysia’s drive to industrialization where material handling equipment & logistic becomes a key factor for efficiency in most of the small and medium industries and the hi-tech industries. 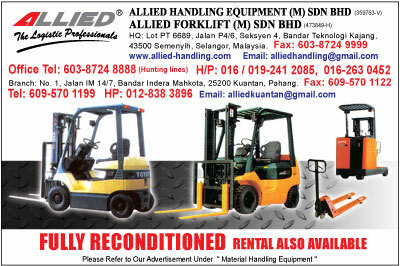 Allied’s business includes selling, trading and rental of used and reconditioned of material handling equipment for warehouse and logistic such as Electric Powered Reach Truck Forklift, Engine Powered Forklift (diesel, petrol and LP gas) and also Hand Pallet Truck as well as manual and Semi-Powered Stackers.